Fashion designers don’t hide behind the fact that they are often inspired by the things they see all around them. From a beautiful animal to an inanimate object, many of fashions biggest and best creations have been the result of simply mimicking what already exists. Sometimes, those “taken from the things around us” mentality is a total accident. Its at those times that we realize fashion designers are sometimes recycling ideas without thinking about where they might have seen a similar design. The results are often head scratching and always hilarious. The price of a car wash? $5 to $20 depending on what type of wax and other options you choose. The cost of an original dress worn by Heidi Klum? Easily in the five or even six figures. Heidi looked ravishing in this ensemble but she always looks amazing – the car wash brushes really didn’t stand a chance. This scores a 10 out of 10 on our direct ripoff meter. 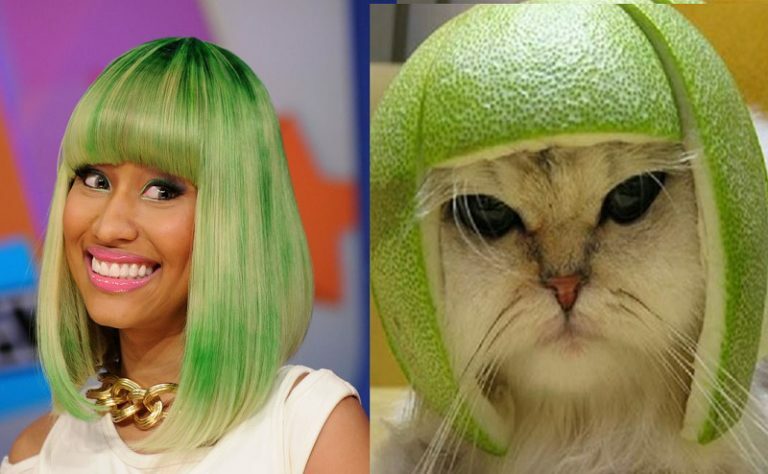 Nicki Minaj Or A Melon Wearing Cat? Sorry, Nicki Minaj but cats rule the internet and by default, they win every competition thrown at them on the interwebs. Plus, Minaj is known for being a rude diva but she’s wearing a smile on her face. At least our angry cat had the decency to show everyone just how not pleased they were with wearing this green hairpiece. Our Friendly Purple Dinosaur Or Jennifer Lawrence? “Barney is a dinosaur from our imagination.” Many of us grew up with that song playing in the background of our lives. Jennifer Lawrence is conversely, a top-selling actress who makes our imaginations soar. We don’t want to pick a winner but we will. 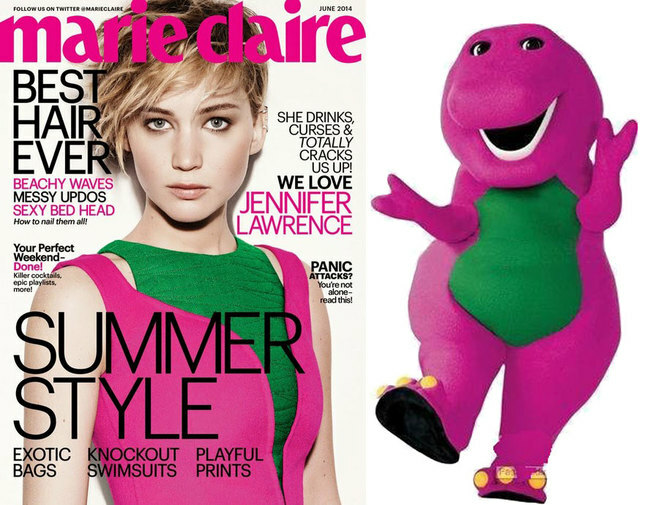 Sorry, Jennifer but you clearly ripped off Barney’s trademark look. 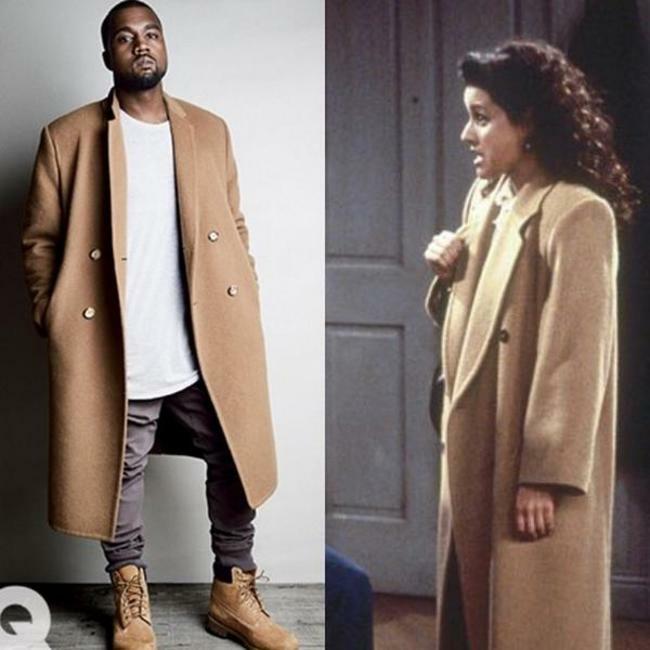 The Kanye versus Elaine “who wore it best” battle is a perfect example of how celebrity can influencer our view of how something looks. Elaine was always a bit frumpy and her clothing choices could be odd at times. Kanye West is a top-selling music artist who is known for being ahead of his time with many of his fashion choices. 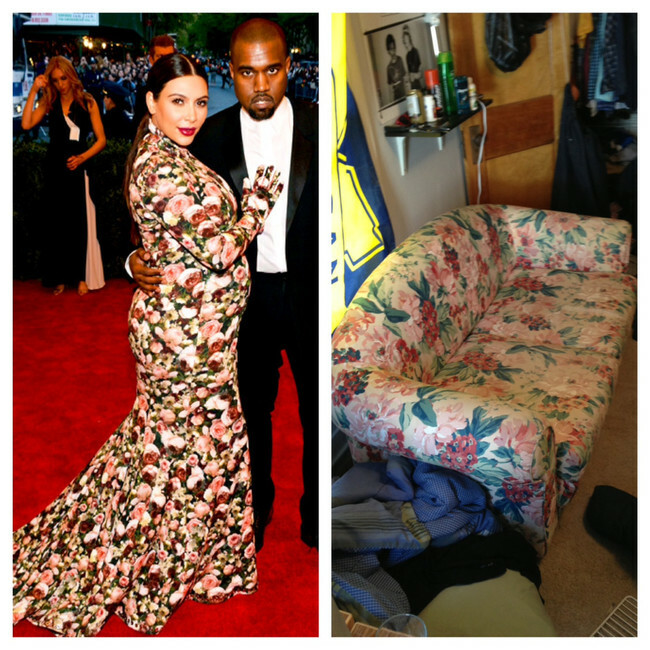 Kanye West definitely wears this near ripoff of an Elaine Benes piece much better than she does. If we wrapped Kim Kardashian’s dress in plastic and sat her down in our grandma’s living room we would probably accidentally sit on her. Kardashian has the ability to make many pieces of clothing look stunning but this dress belongs in a retirement home and not on the red carpet. Sorry, Kim. 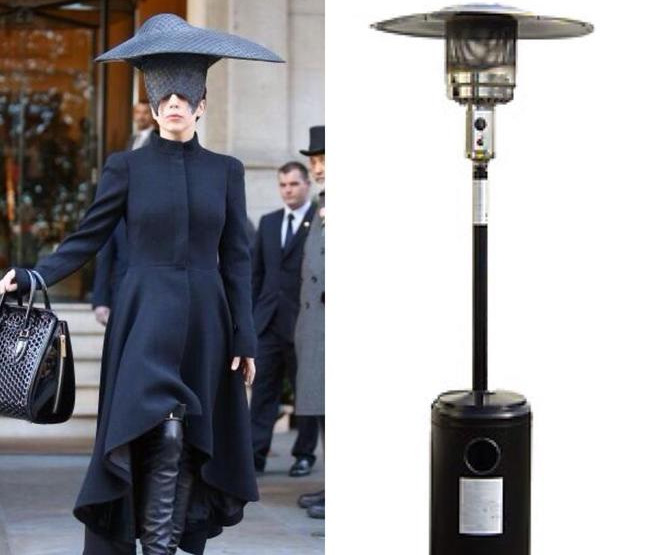 Lady Gaga Or This Outdoor Heating Appliance? You’ll never sit outside in a beer garden on a blustery fall day and look at a heating unit the same way again. Lady Gaga is known for her crazy fashion choices that are incredibly impractical. W are giving the win here to the far more useful and practical outdoor heating unit. Mischa Barton took a big leap of faith with this dress and she looked stunning. 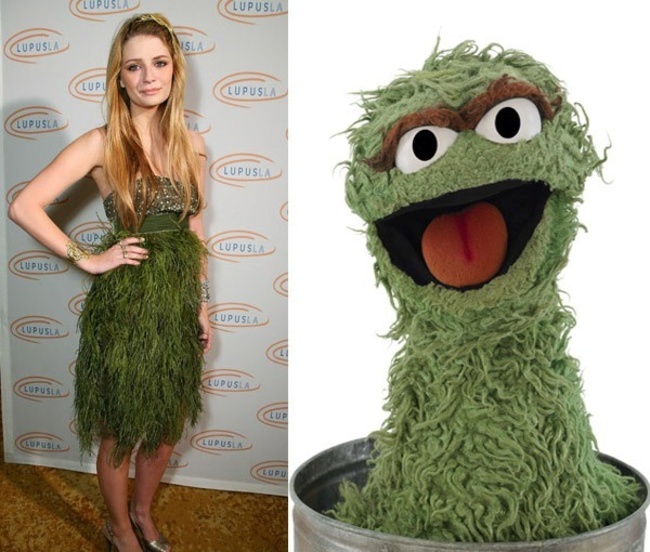 Based on her dresses likeness to Oscar the Grouch we are going to call her choice of dress “dumpster chic.” Oscar gets the win this time just because we don’t want to argue with him over who wore it best. 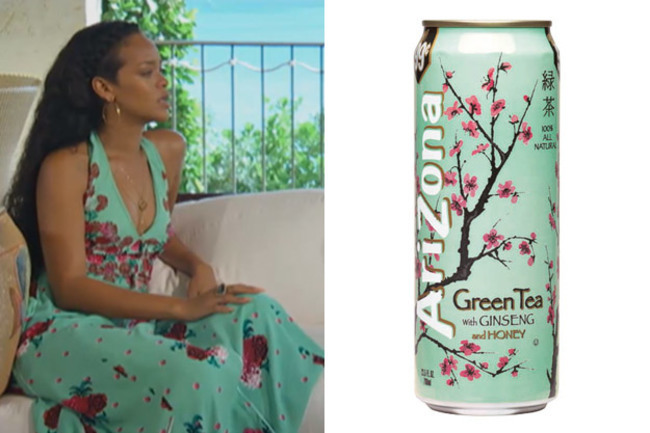 Rihanna Or An Arizona Iced Tea Bottle? Any tree that offers beautiful blossoms has the opportunity to end up on some type of printed material. What we can’t get over is the same shades of colors shared by Rihanna’s dress and a bottle of Arizona Green Tea with Ginseng and Honey. We’re giving this win to Rihanna because she makes our mouth parched and the cure only then is a bottle of Arizona Iced Tea. Can you believe girls used to go crazy over Justin Timberlake’s hair? 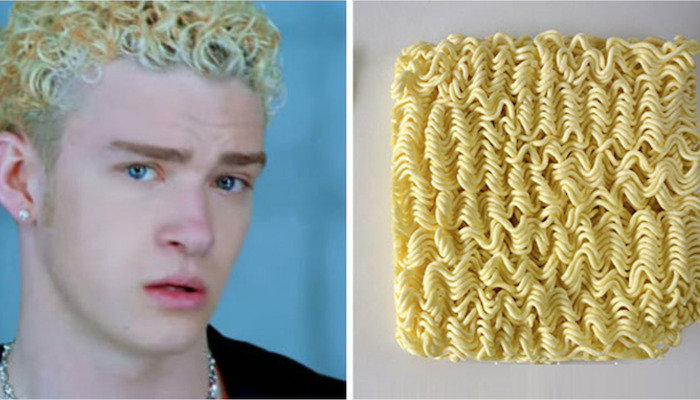 The ‘NSYNC frontman has gone on to lead a very successful career as a musician, actor, and fashion designer but he’ll always be remembers for sporting what looked like a pack of ramen noodles on top of his head. We give this win to the noodles. 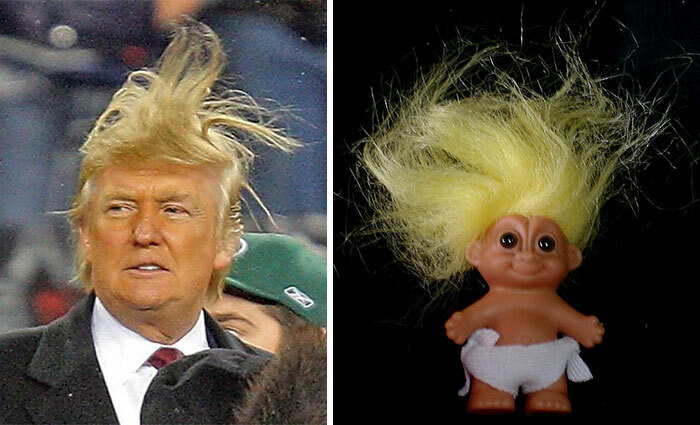 Donald Trump Or A Toy Troll? Donald Trump’s hair sometimes has a mind of its own and we can’t deny the very close look he can share with a toy troll doll. We’re going to give our troll friend the win because their hair is supposed to look like this. Trump is a Twitter troll but we don’t count them in the same species. 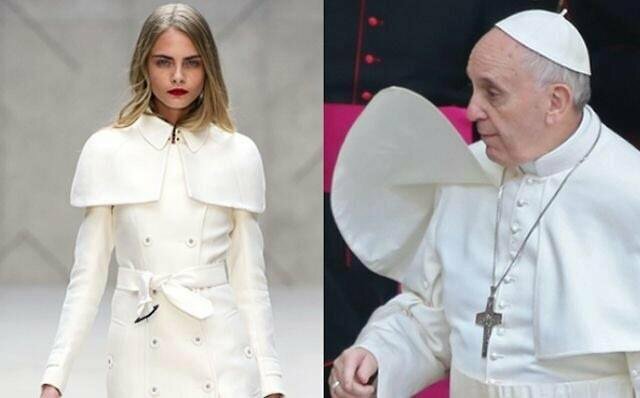 The Pope Or The Cat Walk? When you decide to make a piece of fashion that looks like something straight out of the Vatican you know some boundaries are being pushed. We have to give this one to Pope Francis because we don’t want to be sent passed go and straight to hell during our end of days. 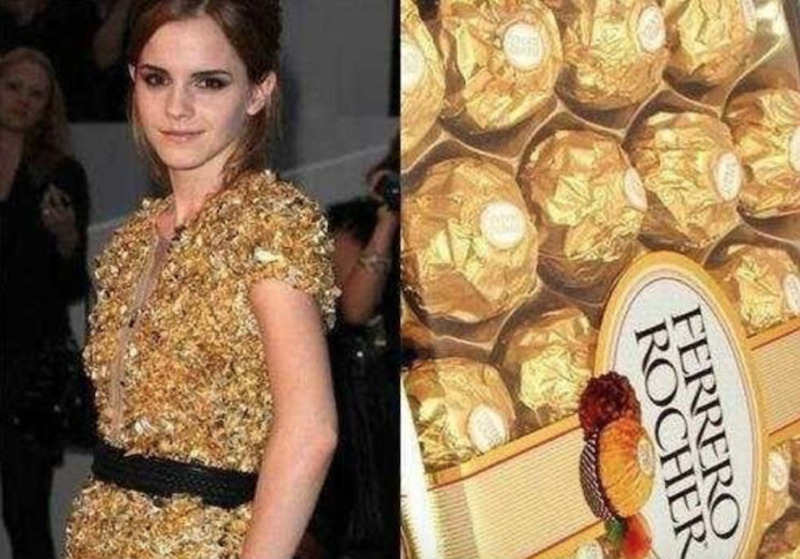 Emma Watson Or This Package Of Ferrero Rocher? This one is really hard for us to choose. On the one hand, Emma Watson is insanely gorgeous, on the other hand Ferrero Rocher chocolates are delicious and easily attainable. We’re going to give this one to Watson because she took a chance on a strange dress choice and still looked ravishingly beautiful. Lil Wayne Or A Gremlin? Lil Wayne unleashed his inner-Gremlin when he decided to put on these blue and red shades and share his trademark smile. 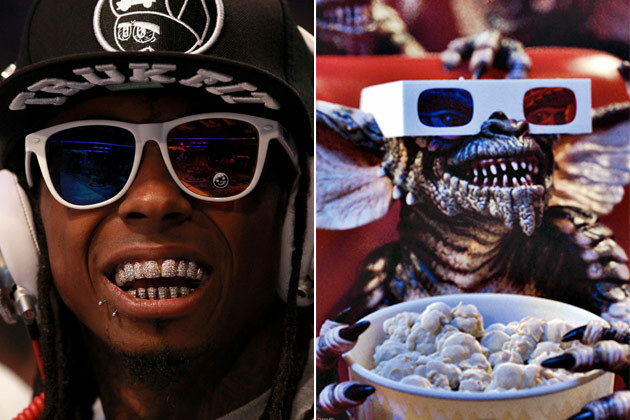 We’re not sure who wins this “who wore it better” competition because honestly we’re afraid of Lil Wayne and Gremlins. Let’s call it a tie and hope for the best. 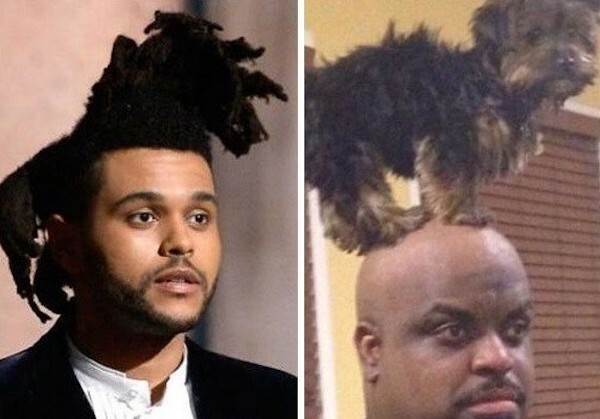 The Weeknd Or This Guy Wearing A Dog On His Head? Who wore it best? We love the Weeknd for his catchy music and awesome live performances but the guy on the right is showing off some amazing balancing skills alongside his furry little friend. Sorry Weeknd, but we have to vote in favor of the weird bald guy and his well-behaved hairpiece. High Fashion Or Hairy Dude Wear? Danny DeVito definitely won us over with this outfit and his comedic timing but Andre the Giant made the outfit legendary among WWF/WWE fans. On the other hand, the outfit is a lot more revealing when worn by a fashion model. We’re going to call this one a three way tie because every outfit was worn with a very different purpose in mind. Zayn Malik Or An Ice Cream Cone? If you love One Direction and an ice cream cone with a chocolate and vanilla twist, this post probably has you in heaven. Even if we were the world’s biggest One Direction fans we would have to go with the ice cream cone. Sorry Zayn Malik but we have to stick with the classics. Rocko’s Modern Life was a groundbreaking TV-based cartoon and it was ended well before its time. Don’t believe us? Check out the show’s Christmas episode which is one of TV’s best holiday segments of all time. Because we love our childhood, Rocko wins this round over Blake Anderson and his collared shirt because it’s obviously a direct ripoff of the original. 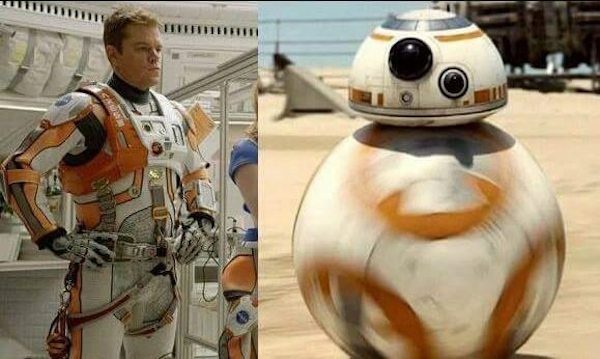 Matt Damon Or The BB8? We’re not going to choose a winner for this one. People love Matt Damon and Star Wars and no matter what we choose it would be a losing battle. In all fairness to the actor, he had this outfit chosen for him by a team of costume designers on the set of the amazing movie, The Martian. An homage to Star Wars? Perhaps. Taylor Swift Or Jon Heder: Who Wore It Best? If you’re looking for a good laugh the winner here is clearly Jon Header. Swift on the other hand can wear just about anything and make it look smoking hot. We’re going to break up the wins this time into comedy and fashion and give them both a win in their respective eye-catching and funny bone grabbing categories. 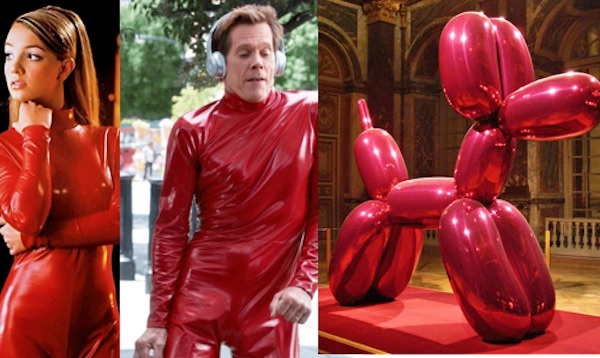 A famous singer, a famous actor, and a famous balloon dog. All three of these subjects are worth at least $58.4 billion. The dog, a creation of artist Jeff Koons is the original wearer of this costume but Britney Spears rocks out in her skin-tight version. We’re going to call this a three way tie because either way they have no more than six degrees of separation from Kevin Bacon.